VietNamNet Bridge - LINE expects to make a comeback to Vietnam through its investment in webtretho.com. Nhip Cau Dau Tu quoted its sources as reporting that the deal began half a year ago and LINE is now holding a controlling stake in the Tre Tho Information Service JSC, which runs webtretho.com. Established in 2002, and receiving investment capital from IDG Ventures, webtretho.com is now a forum for women with the highest number of visits. According to similarweb, there are over 13 million visits to webtretho each month and the forum ranks 91st out of 100 most visited websites in Vietnam. Webtretho.com has annual revenue of $2 million. IDG Ventures once planned to use webtretho.com as a ‘springboard’ to join the e-commerce market with beyeu.com (products for mothers & kids), lamdieu.com (cosmetics) and foreva.com (underwear), but the projects failed. LINE, a subsidiary of Naver, is a familiar name to Vietnamese. It appeared in Vietnam in 2012-2013, when messaging apps boomed. LINE was one of the apps, competing fiercely with Kakao Talk, Viber, Zalo and Facebook Messenger. 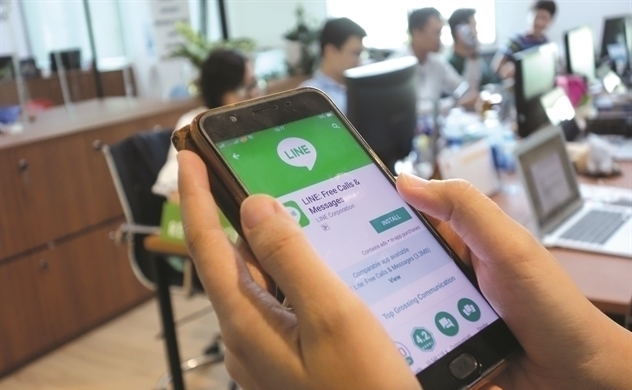 LINE left Vietnam to focus on its four key markets in Asia – Japan, Thailand, Taiwan and Indonesia. It has 168 million users a month in the four markets which bring $1.5 billion in revenue. Acquiring the webtretho.com stake, LINE may ‘set one foot’ in the Vietnamese market. However, it is still unclear about its business strategy for the upcoming years in Vietnam. Both Tre Tho and LINE have not made public announcements about the deal, but are easy to find problems LINE is facing. Though having high revenue growth rate of 18 percent, LINE’s growth is assessed as unsustainable because the growth comes mostly from the Japanese market. Meanwhile, the growth in number of users has slowed down since 2015. To maintain its development, LINE has to expand its business to other markets, where it has been warned that it will meet strong rivals. In Thailand, people use LINE to hail taxis. But Grab is now dominating rude hailing in Vietnam. Grab will have to compete with Zalo and Facebook Messenger, two apps with the highest numbers of users at present. According to The Next Web, by July 2017, Facebook had had 57 million users in Vietnam. Meanwhile, VNG, the owner of Zalo, had 80 million users by February 2017. An analyst commented that LINE is to quietly increasing its influence through webtretho, the forum for women, instead of competing directly with rivals in a market where they had abandoned for five years. LINE said it would spread its influence to the rest of family members via the women’s forum.